This outfit is made from a wool/polyester blend. 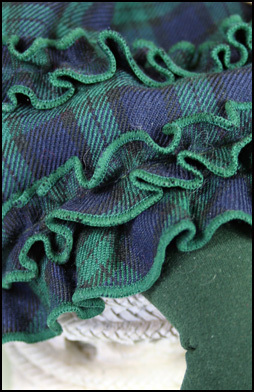 The skirt features several frills at the hemline. 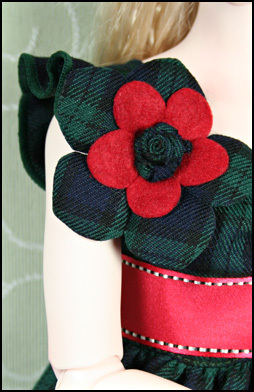 The bodice has a frill over the shoulders with poppy and rossette flowers to decorate the sleeve. The leggings are deep green stretch knit. 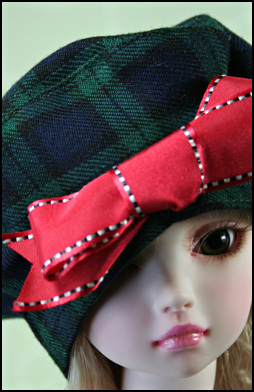 A matching beret with ribbon trim completes the outfit. Includes: dress, beret and leggings.